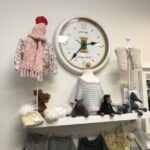 What makes Pick Up Every Stitch in Mount Kisco, NY so welcoming? It starts with the owner! Felicia Lonigro comes from the garment center in NYC where she managed amazing clothing brands. 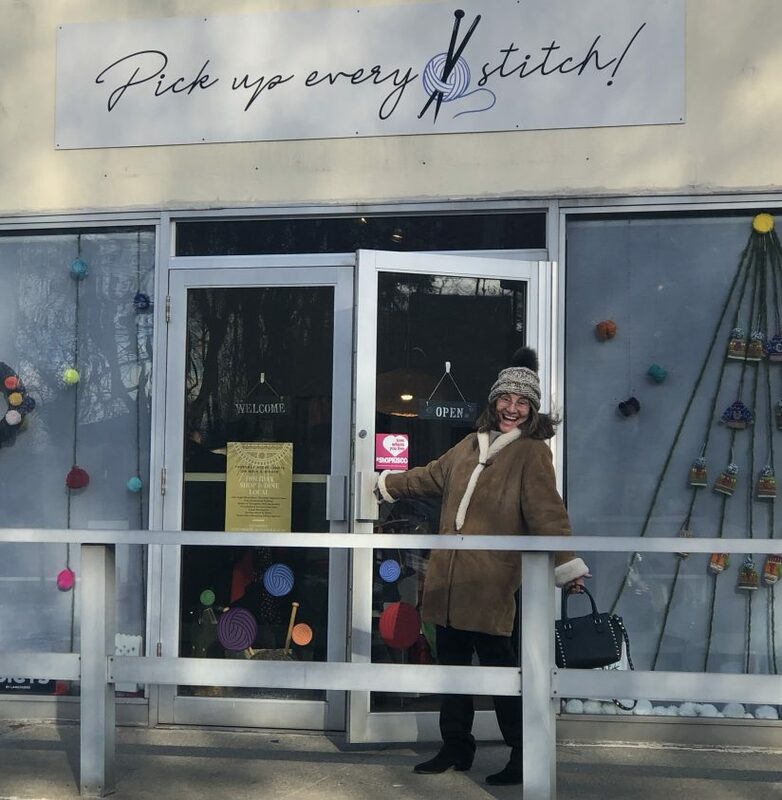 Knowing how the garment industry functioned gave Felicia a strong foundation for opening Pick Up Every Stitch, a delicious yarn shop in the heart of Mount Kisco, New York. She finds that smaller yarn farms and indie dyers can really expand beyond their website sales through shops like Felicia’s independent yarn shop where her customers can not get enough of her curated offerings for all their fiber projects! 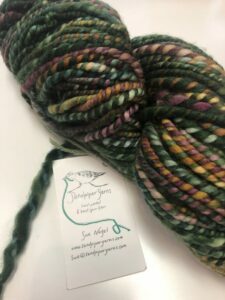 Yarn is a product we fiber artists love to touch and a personal recommendation from our local yarn shop owner or the knitting/crochet group at the table in the back of the store is a great way to discover new products or get confirmation of something we see on Instagram, Ravelry or Pinterest. Felicia has been an entrepreneur since her days working the floor at Bloomingdales during college. She was attending Briarcliff College and working student hours at the local Bloomingdales. Briarcliff College got purchased by Pace and as Felicia was evaluating a different college option, she was invited into the executive training program for Bloomingdales by the store manager. This is when Felicia realized the best school for her was on the job and so she left the traditional college path for the hands-on executive training Bloomingdales was well known for. “It was a life-changing position and from there I was invited to work at the Garment Center on great brands like Carol Little for Saint Tropez and Ellen Tracy. 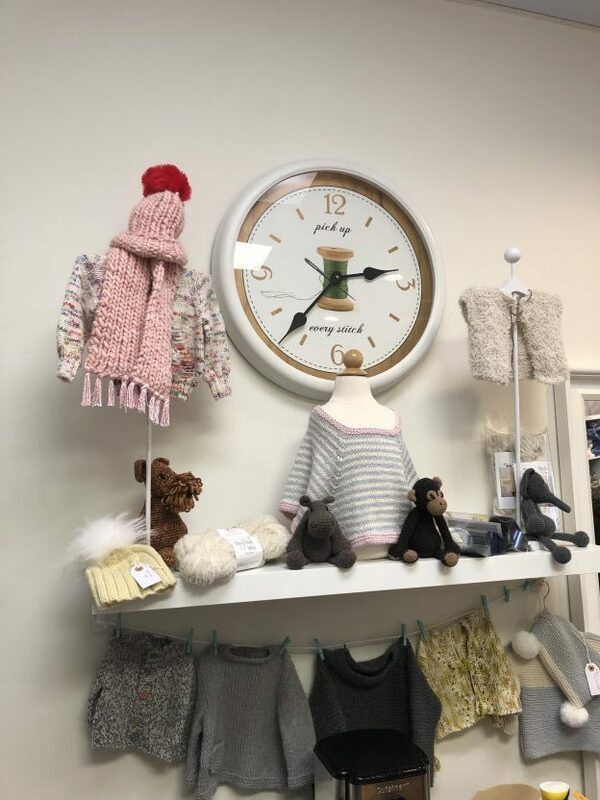 I just loved it and from there I found a partner and we opened our own independent show room representing young contemporary and high-end designers.” Felicia loved the intimacy of the relationships with the designers and the independent clothing shops she sold to. 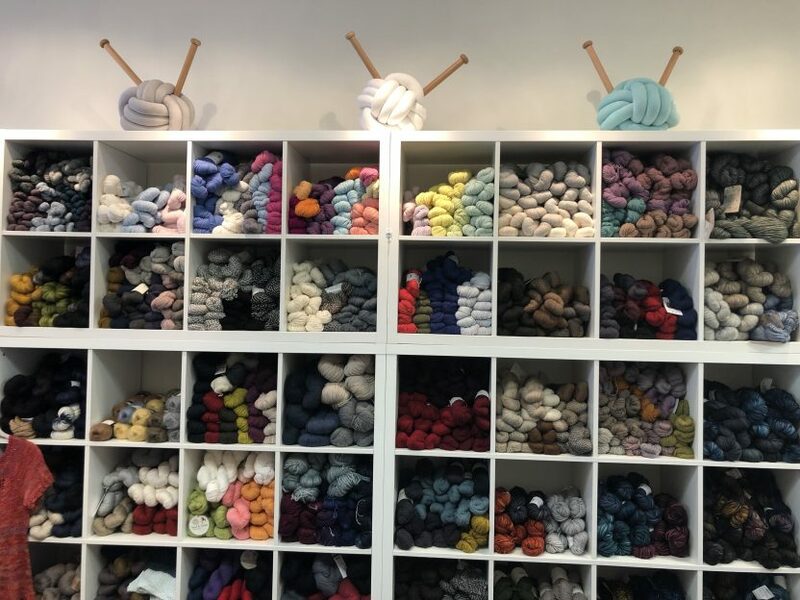 “You knew everyone and how their sales are flowing, unlike the bureaucracy of the larger organizations.” You now see this same intimate relationship flowing between yarn options and knitters coming through Felicia’s shop door in Mount Kisco. 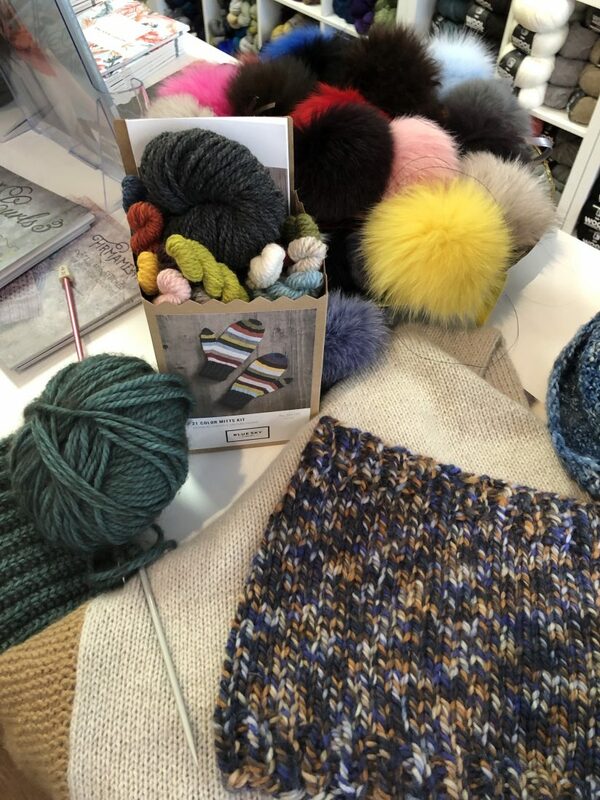 How did you go from the garment industry to becoming a knitting addict? Jacko Day running into the shop! 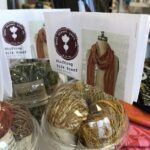 Felicia decided to create and build the yarn shop as a solopreneur. While she enjoyed having a partner in New York, she is enjoying running the shop completely through her own vision. When she sees something on social media or in a magazine, she researches it and then reaches out to the company directly. 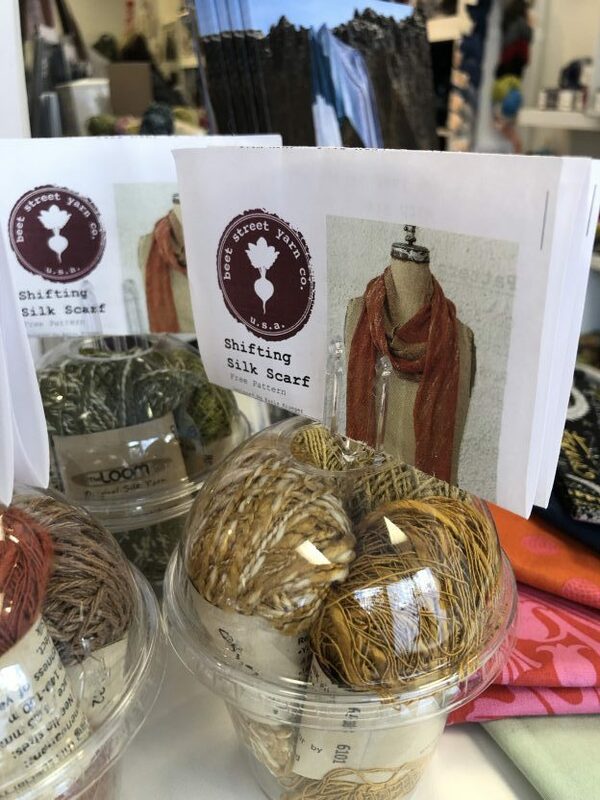 She attributes the key to success running a yarn shop is knowing who the customer is that you are catering to. Know the taste of the area you are serving. The NYC woman is different from the Westchester woman from the Long Island woman. The shop needs to cater to their specific taste in color choices and styles. “Make sure you are doing this because you love the customer. 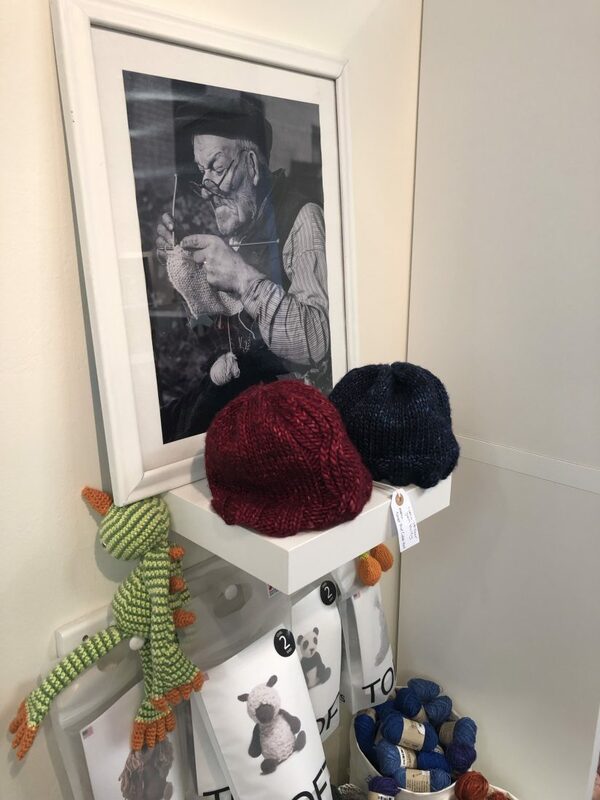 It is not about you and if you feel like it is more about you and getting your knitting supplies for wholesale, then you are in it for the wrong reason.” advices Felicia. So, what is the Felecia’s secret to creating such a yummy culture and spot for us to discover yarn and fiber friends? First and foremost, Felicia continually said how grateful she is for each and every day that folks come visit her in her shop. She takes the approach that Pick Up Every Stitch is an extension of her home, so she wants to be inviting. 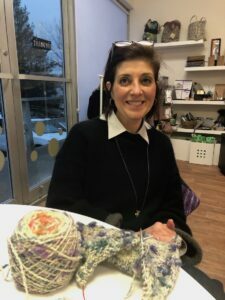 Felicia believes customer service is key regardless of having pointed needles in her hands… She has put together a knowledgeable staff who can expertly guide customers to the right yarns and tools for any project needs. And I can say first hand, she made sure I never felt invisible, but instead welcomed and several projects heavier when I left the store. Felicia, is a world class human being. “Genuine” – Congratulations on this wonderful story and the reasons why brick/mortar is the soul the backbone of small town retail. Felicia is warm and engaging with impecible taste for color/texture – and patience is key – Felicia holds all those values and then some. 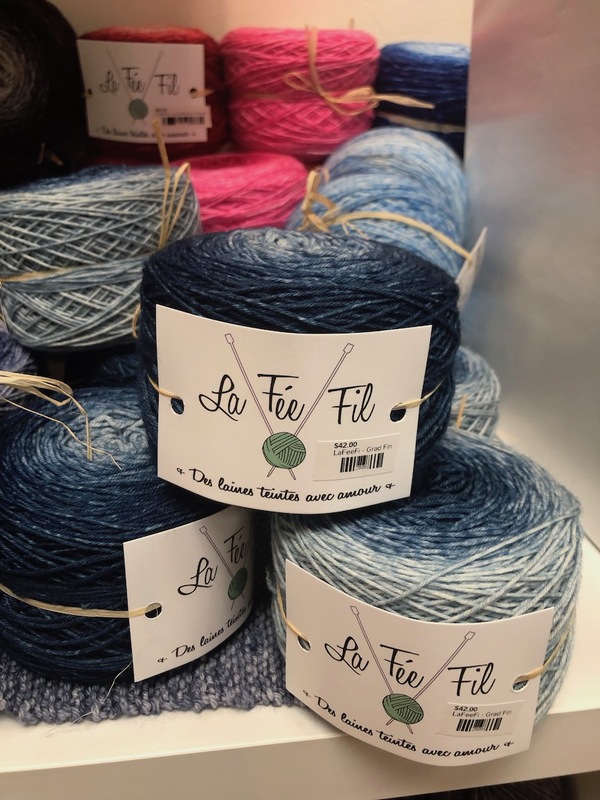 Thus if you are a knitter and or you are curious to turn down the “noise” and fill hours of your free time with something new ….then enter Felicia’s world and make a friend for life – and embark on a new undertaking and with it a lifetime of pleasure.